WinTingo is a gaming website specialized in casual gaming – namely, the ever popular scratch cards and instant win games. Founded in 2011 by the group of experienced professionals with a goal to provide the very best in online gaming, WinTingo is operated by Pariplay Limited, licensed in Isle of Man and certified by iTech Labs in relations to safe and fair gaming. The software WinTingo operates on comes from two renowned online gaming providers: the unique casual games in 3D-based set of graphics are powered by the in-house Pariplay software, and the famous Microgaming QuickFire platform brings a nice selection of the most popular Microgaming’s titles. Fixed odds (1 out of 3 chances is a guaranteed winner) and an outstanding 95% payout – Pariplay’s trademarks – are here as well, and WinTingo patrons can try their luck in over 250 games currently on offer: a wide range of scratch cards and instant win games, but also a large number of classic, video and pub slots and rewarding progressive jackpot games, including the players’ favorites such as Thunderstruck II, Immortal Romance, Tomb Raider or Mermaids Millions, as well as several variants of video poker, bingo and table games such as blackjack, roulette and baccarat. No download is required, browser-based flash software loads quickly and games run smoothly. All WinTingo games can be tested out in fun mode without even registering an account. In order to play for real money and receive all benefits WinTingo has to offer, the prospective customers must open an account and make a deposit. The registration is done in two simple steps, WinTingo offers a variety of payment options, instant and safe deposit methods – all major credit cards, debit cards, e-wallets and third party deposit options – and fast withdrawals, and all new players are welcomed with a rewarding bonus package. The paying customers can take advantage of the unique WinTingo’s bonus system – Cashpay, which allows the users to withdraw their bonus money whenever they want without any additional wagering requirements. WinTingo aims to provide second to none customer service for its customers. All major issues and the most common questions are addressed in the detailed help and FAQ pages, and the support is offered 24/7 via telephone, on-site ticket system, e-mail and live chat. 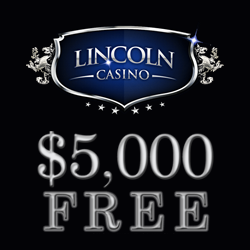 Players will receive the bonus automatically into their account in increments of $2 for every $60 wagered, and they are free to withdraw their balance at any time. 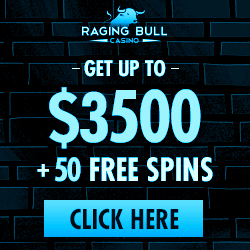 Join today to claim our exclusive offers and bonuses! Sign up to get the industry's best deals. 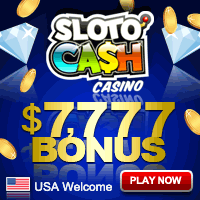 Be the first to receive the latest welcome offers, free spins and bonuses.